A sty, medically referred to as a hordeolum, is an acute infection of the oil glands of the eyelids that results in a firm, red lump on the eyelid. It may eventually come to a head as it fills with pus. Sties are caused by dirt, makeup, or other debris that block and infect the oil gland with bacteria. The bacteria known as staphylococcus are responsible for 90 to 95 percent of sties. Other bacteria may also be involved in some cases. People are at higher risk of having sties if they suffer from a condition called blepharitis, which causes inflammation of the eyelash follicles. 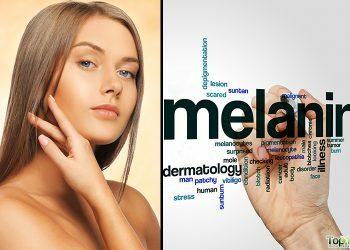 Factors like poor hygiene, stress and hormonal changes may also contribute to this problem. 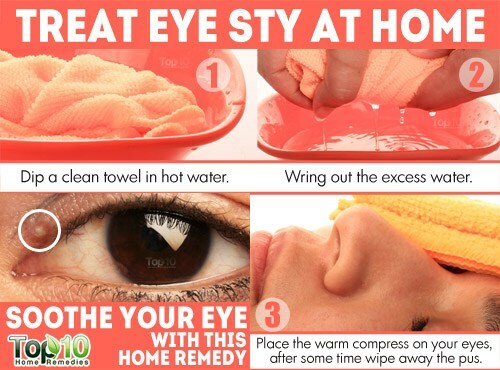 You may have more than one sty at a time. Usually, a sty fills with pus and looks like a pimple on the eyelid. It mostly develop along the outer edge of the eyelid, but may also occur on the inner region. Common symptoms of sties include pain, swelling, tenderness, burning sensation, itching, difficulty blinking, increased sensitivity to light, and mucus discharge from the affected eye. Sties usually subside on their own within a week or two. However, some easy and natural home remedies can help speed up the healing process and relieve pain and discomfort. 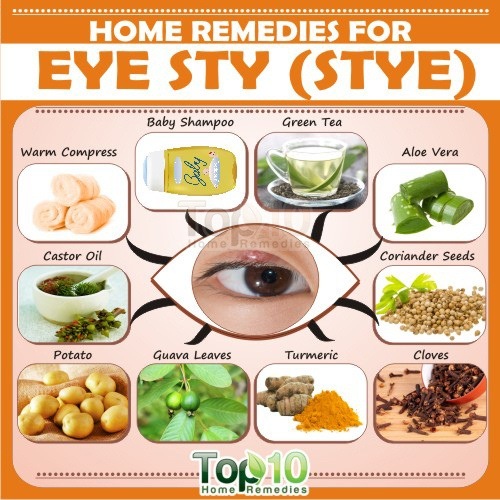 Here are the top 10 home remedies for eye sty. Applying a warm compress to the affected area of the eyelid is one of the best remedies for a sty. The heat will increase circulation to the area and speed up the rupture and drainage of pus from the sty. It will also reduce symptoms like pain and swelling. Dip a clean towel in hot water and wring out the excess water. Close your eyes and place the warm compress on the affected eyelid. Hold it there for five minutes at a time. Do this three or four times daily, until the pus is released. Wipe away the pus using a clean towel. Reapply the warm compress until pus stops coming out. Green tea has natural anti-inflammatory compounds that can help reduce pain and inflammation and diminish the sty. Also, it is rich in tannic acid that is effective in keeping infections at bay. It also contains a variety of nutrients and antioxidants that contribute to healing and relief. Dip a green tea bag in warm water for a few minutes. Remove and squeeze out the excess water. Close your eyes and press the moist tea bag over the affected eyelid. Hold it in place for five minutes. Repeat this a few times daily until the sty is reduced in size and there is no pain. This remedy can also be done with black tea bags. Coriander seeds are a traditional home treatment for sties due to their anti-inflammatory properties. These seeds can help reduce pain, redness and swelling, thereby making you feel much better within a few days. Add one teaspoon of coriander seeds to one cup of water and bring it to a boil. Remove from heat and allow the water to cool down. Strain and then use this water to wash the affected eye area. Do this two or three times daily until you get relief. The antibacterial and anti-inflammatory properties of turmeric can help get rid of a sty quickly. It can reduce inflammation and remove any infection-causing elements that may be contributing to the condition. Add one tablespoon of turmeric to two cups of water and boil it until the solution is reduced to half. Cool and then strain it through a cheese cloth. Use this solution to wash the affected eye area two or three times daily for a few days. You can also mix one teaspoon of turmeric powder in a cup of warm milk. Drink it daily before going to bed for a week for faster healing. For quick recovery from a sty, it is essential to keep the affected area clean and free of dust and other irritants. You can do this by washing the affected eye with baby shampoo. 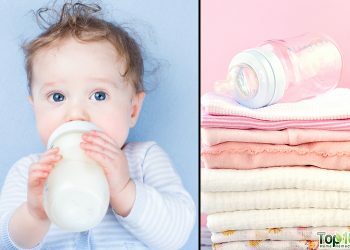 Add a few drops of mild baby shampoo to a cup of warm water. Mix it well so that the baby shampoo is diluted. Close your eyes and use the wet cotton ball to wash the eyelid along the base of your eyelashes. Apply a clean, warm compress for five minutes. Do this a few times a day and your sty should disappear within a few days. Aloe vera is another popular treatment for sties due to its soothing, antibacterial and anti-inflammatory properties. 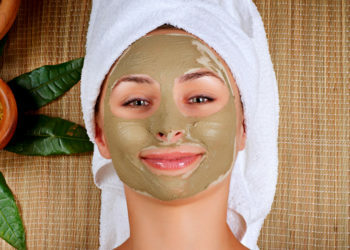 It can help reduce redness, swelling and inflammation as well as speed up the healing process. Cut open a leaf from an aloe vera plant and extract the gel from it. Rub the gel over the infected eyelid. Leave it on for 20 minutes, and then wash your eye area with lukewarm water. Repeat this remedy a few times daily for five days. 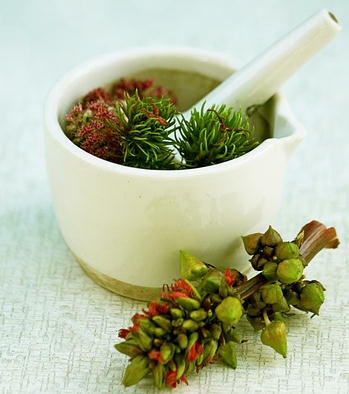 Castor oil has ricinoleic acid, which serves as an anti-inflammatory agent. This is why castor oil helps reduce pain and inflammation so effectively. Wash the affected eye area with baby shampoo and warm water. Apply a warm compress over the affected eyelid for five minutes. Use a cotton swab to apply castor oil on the raised bump on the eyelid. Repeat twice daily for a few days. 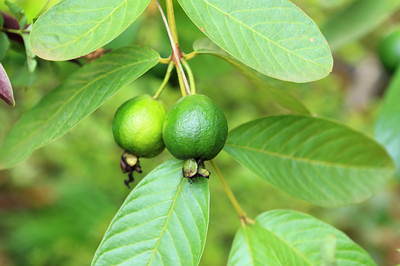 Due to their natural healing power, guava leaves are considered a good home remedy for sties. The leaves also possess anti-inflammatory properties that help eliminate the redness and swelling of the affected eyelid. Wash two or three guava leaves in hot water. Soak a cloth in hot water and wring out the excess water. Put the guava leaves on the warm cloth and wrap it well. Allow it to cool down, and then take out one leaf. Apply it on the affected area and leave it on for about five minutes. Repeat the same with the other leaves. Do this twice daily for three to four days. 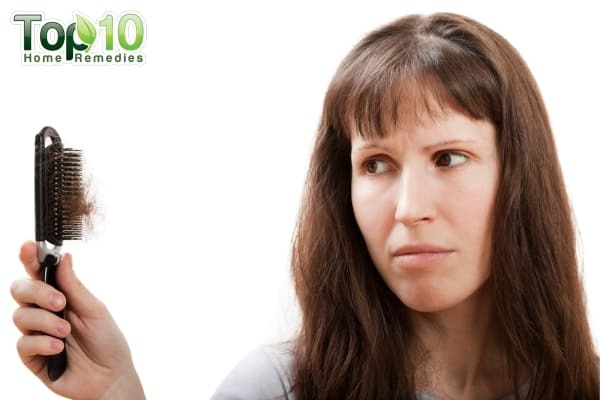 Potato is another commonly used home remedy for sties. 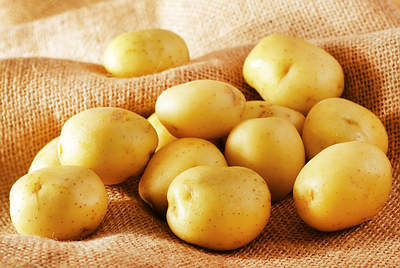 Due to its astringent properties, potato helps contract the tissues and reduce skin irritations. Plus, potato helps decrease inflammation and pain. Wrap the grated potato in a cheesecloth. Place the cheese cloth on the affected area for five to 10 minutes. Follow this remedy two or three times daily for four days. 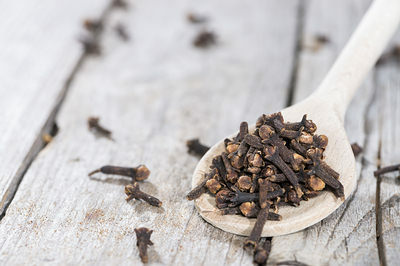 Cloves work as a pain reliever and skin irritation reliever and hence are considered an effective remedy for sties. Cloves can also help prevent the spread of eye infections due to its antibacterial qualities. Soak five or six cloves in a glass of water for 10 minutes. Soak a cloth in this water and wring out the excess water. Hold the cloth on the affected eyelid for a few minutes. Follow this remedy two or three times daily for a few days. If your sty isn’t responding to these natural treatments, consult an eye doctor. At the same time, you can take some precautions to prevent or stop the spread of eye infections and sties. When you have a sty or other infection, keep your hands away from your eyes. Wash your hands before and after touching your eyes. Never squeeze or pop a sty as it may spread the infection to the other eye. Do not wear eye makeup when you have a sty. Never share eye makeup or applicators. Discontinue wearing contact lenses when you have a sty. Never go to bed without removing your makeup. these tips are really useful for me…………. Hi, I have had a stye for a year. It was one of the worst things I had to live with. It had gotten worse and some days it’s fine and then it would be terrible again. I didn’t want surgery so my remedy was Vicks. I up it on every night for the month of July and till now. It had decreased dramatically. It’s barely noticeable now and almost gone. Hello am gonna try this tips to reduce heatboil in my eye.. Hope it works.. 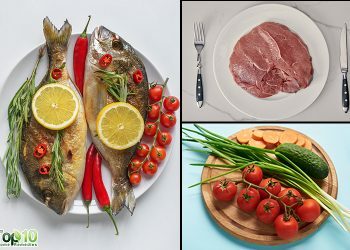 Chronic, re-occuring sties can be caused by lack of vitamin A. Use the natural treatments to help get rid of the stie and start taking from 20,000 to 30,000 IU’s daily. Thanks for all the great advice guys!!!!!! Totes trying em’ all tonight! I was plagued with styes when I was young (boils too). And the solution was easy in the end . The answer in the end was soft boiled eggs (eggs cooked other ways were not affective) .Simple as that . Additionally a priest once said to me to rub the affected eyes with my mothers gold wedding ring . I was desperate . It also seemed to help (no joke). But it was a nutritional deficiency with me (they used to call me bones I was so fussy ). I am fed of style. Now I am gonna use these home remedies… Hope they will work !!! I get styes every few months,why? ?